of the Catskill Mountain range. Conesville is a ‘literal’ crossroads. from the crowds and bustle of the metropolis. (to name but a few local activities), make it the perfect family getaway. but well-served community – then Conesville is the place for you. We spoke with the county treasurer Bill Cherry to best understand the breakdown of unethical practices going on behind closed doors. This letter exposes the bitter truth about corruption right under our noses. If you are betraying the public’s trust, especially for personal financial gain our paper will find you out and expose you. For far too long almost every bad idea, fiscal gamble, and backroom deal has been abetted by local leaders and media. High Speed internet is here!!! 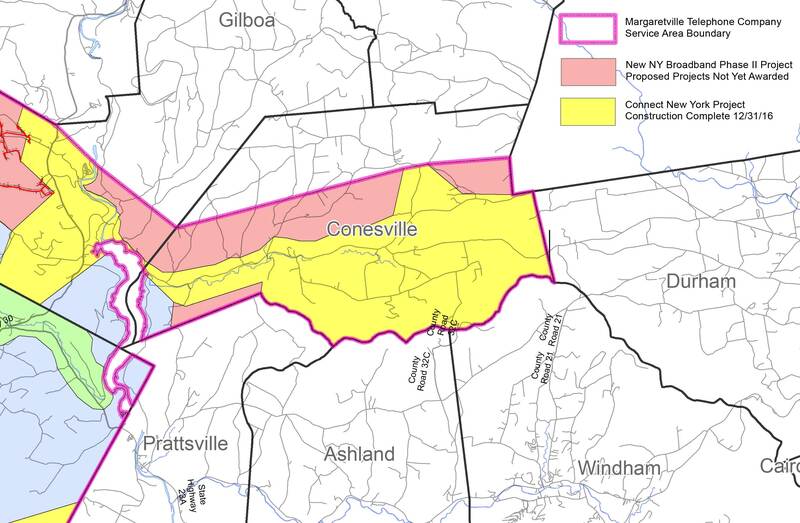 The Margaretville Telephone Company Fiber installation is now functional. We are connected!!! New customers in Conesville get Free Installation and 1st month Free! 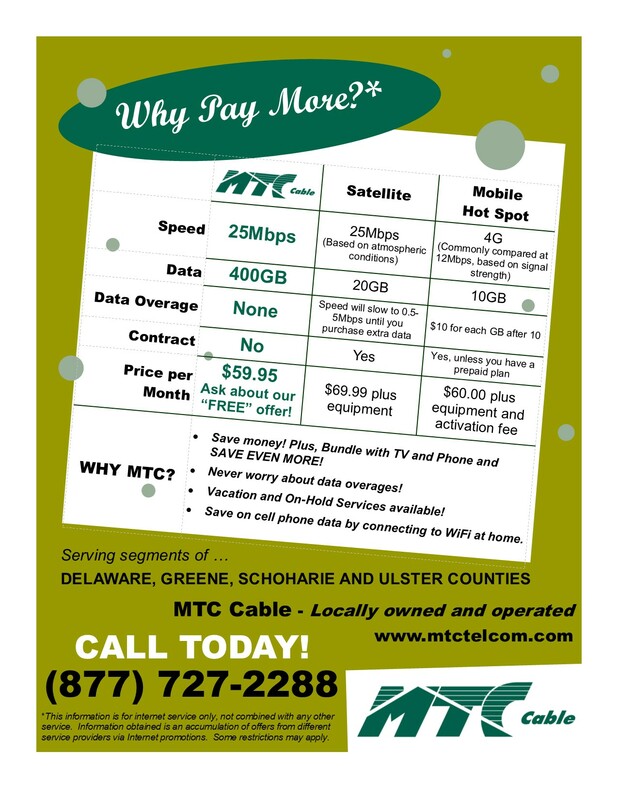 Please contact MTC to set up your new account: Tel. (845) 586-3311. Stop in to check your email, send a message, or browse the web. Conesville keeps you connected. We are changing the format of our website - Stay Tuned!! We are pleased to announce we will be reporting more local news on this website. We believe information empowers people to make informed decisions. We will also add a news feed from the Mountain Eagle newspaper to share relevant newspaper articles to our area. Learn about different types of business that operate in the area, how to apply for grants and other business related information. The town is named after Jonathan Cone, an early resident. Conesville was first settled around 1764 on a patent issued in 1754. A comprehensive list of Town Officials for Conesville. This includes mailing address information and phone contact. Town Board Meetings are held on the Second Monday of each month at 7:30pm at the local town hall.